I recently received the following request from an Australian modeler and am passing it on to anyone who would like to help him out. His email address is: usmcau(at)gmail.com. My name is Leo Groenendyk and I am a member of IPMS Australia, Melbourne chapter (second oldest in the IPMS world) I am also a former President of the club. And a disabled Australian ex-serviceman fighting cancer, again. My reason for this direct request for help is that I am writing a guide book on the Airfix Corporation of America 1963 to 1965 which I hope to have completed by early to mid 2018. Having acquired 71 of a total 75 kits in the series (not counting several variations) I have hit a brick wall in acquiring the final four kits to complete this research project. Yes I have used every known source such as Ebay and American & English specialty model kit sellers along with Facebook forum requests to no avail. 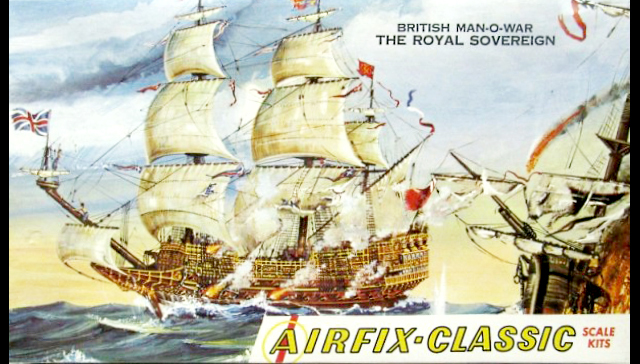 S1-398 Airfix-600 Scale Kit British Man-O-War The Royal Sovereign. I have attached photos of the above kits. Note I am not after the English Airfix or Airfix Craft Master range. I am not after anything free and I am very happy to pay a high but fair price including postage to acquire these kits. I hope that someone in one of the IPMS American chapters may have these specific kits in their collection and be willing to part with and assist me in completing this project? Thank you for you time and help in advance. God Bless America and Her Allies.